Douglas Howard’s days as a small-town physician are numbered. He is in debt, and the only way out he sees is to take up with the lonely, calculating wife of a dying patient who will leave behind a sizable fortune. As they wait together, their lives become complicated by the troubles of Dr. Howard’s desperate secretary, Miss Derringer, who has her affections set on the doctor. What follows is a fatal scandal and an exploration of human expression, desire and manipulation all in the name of love. In the middle of it all is a strange and beautiful parrot, innocent from everything that goes on around her, but thoroughly involved. Dave Newell’s Southern literature debut chronicles love lost, hope taken, and the enduring consequences of selfish devotion. This dark, psychological literary puzzle has been described as “eccentric” and “beautiful” with an effortless plot. Dave Newell was born and raised in the Midlands of South Carolina. After graduating in 2007 with a bachelor’s degree in Broadcast Journalism, he moved to Greenville, South Carolina where he currently lives with his family. 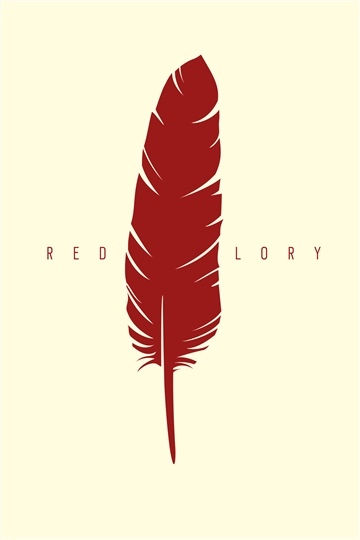 Red Lory is his first novel.